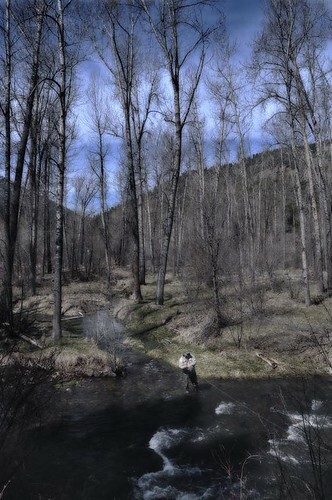 Fly fishing on the legendary Rock Creek. If you fly fish, there’s a good chance you’ve already fished the waters around Missoula, Montana. If you haven’t, you probably wish you could. Fly fishing the Blackfoot River–always a dream for anglers–caught the world’s attention when it was featured in the 1992 film A River Runs Through It. Since that time, people from all over the globe have come to Montana in order to witness the majestic beauty of this land. Many arrive with dreams of big fish. If you’re an experienced angler, bring your gear and let your instincts take charge. If you’re a novice, it’s advisable to use a guide. Renegade Fly Fishing Outfitters claims their guides have spent more time on the water than most of the trout, and given the life cycle of a trout, that’s probably true. Guides will tailor their trips to all skill levels, novice to expert. Flies, transportation, lunch, and equipment are provided. Double Up Outfitters leads fishing trips on the Bitterroot, Clark Fork, Blackfoot and Missouri Rivers, as well as the legendary Rock Creek. Guides are friendly and patient. Founder John Gould has noted that “if Lewis and Clark had fly rods, they would never have left Montana”. He could be right. Montana Flyfishing Connection offers outfitted float trips on Smith River, the Blackfoot River, the Clark River, and the legendary Rock Creek. The guides will collect you at Blue Mountain Missoula Bed and Breakfast and bring you back here at the end of the day, happy and tired. Fly fishing may or may not be the only thing you want to do during your stay in Missoula. Either way, you’ll enjoy staying at our Missoula Bed and Breakfast overlooking the Bitterroot River. Our motto: “Blue Is Beautiful,” which goes for the many blue ribbon trout streams we have in and around the Missoula area!